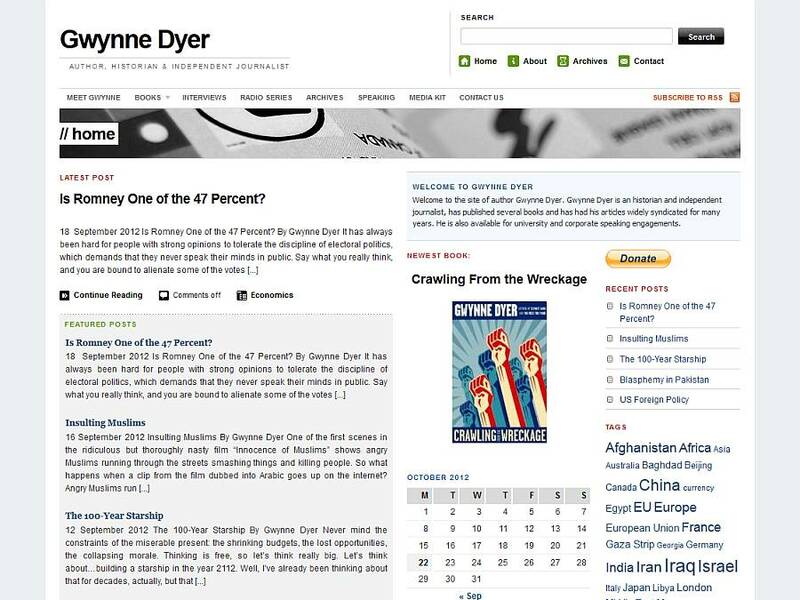 Author, historian and hard-hitting journalist Gwynne Dyer’s website makeover was a challenge. He had 573 articles, all in text files… none were laid out for the web, and none were searchable on his old website. We needed to add search capabilities and powerful archives, so that his many readers could find what they were looking for. We also had to come up with an effective way of adding tags to that huge article repository. We’ve had excellent feedback on the redesign from many of Gwynne’s fans.